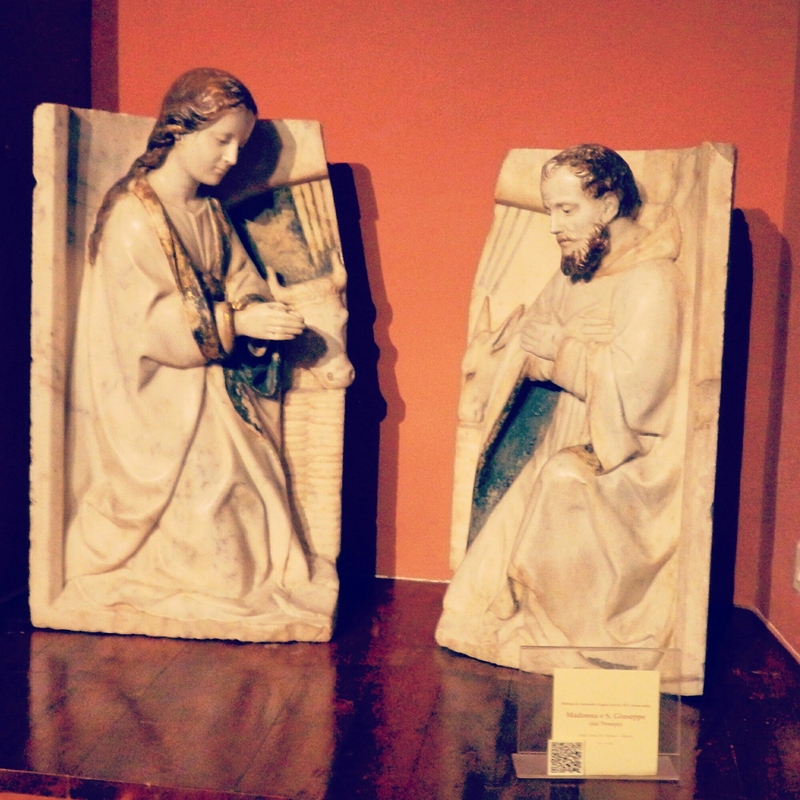 These 16th century marble statues of the Virgin Mother and Saint Joseph came from the Church of Saint Stephen in Salemi, Trapani province. They are now housed in the town’s outstanding Museum of Sacred Art. The sculpture group of a nativity scene, which is attributed to Sicilian sculptor Antonello Gagini (1478-1536), is missing the Baby Jesus. La Chiesa di Santo Stefano was one of the oldest churches in town. Its remaining structure was destroyed in the 1968 earthquake.